In Het Scheepvaartmuseum (The National Maritime Museum), we find ourselves in awe of how a small country like the Netherlands was able to put itself on the map, not only as traders and explorers but also as colonialists and oppressors. 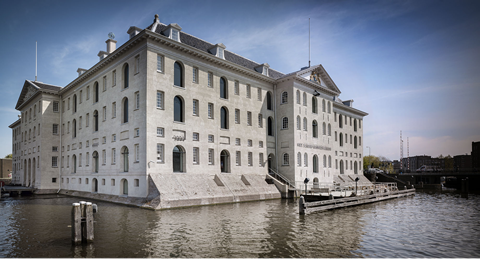 The National Maritime Museum, Het Scheepvaartmuseum, is housed in the historic building the Arsenal dating from 1656.The museum together with the library houses one of the biggest maritime collections in the world and shows how Dutch culture has been shaped by the sea. 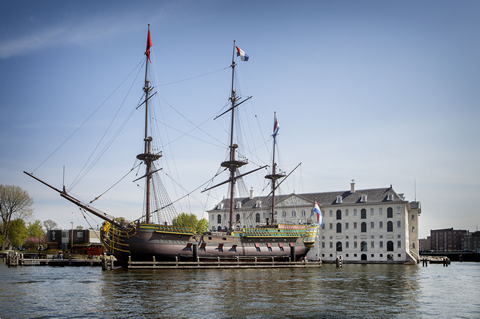 Stimulating, interactive exhibitions allow visitors to explore 500 years of Dutch maritime history. A visit to The National Maritime Museum is educative and inspiring for all ages and backgrounds. We offer guided tours of our exhibitions and have special entry rates for both trade and group bookings. There is also a free audio tour available to all our visitors that takes you through the highlights of the museum in 60 minutes. The museum is also an outstanding location for all sorts of business events, meetings and weddings. The monumental building has a number of multifunctional rooms which are suited for a wide range of events. Het Scheepvaartmuseum welcomes you aboard.